In many ways this book picks up where Frost & Prechter's classic Elliott Wave Principle: Key to Market Behavior left off, which makes it "required reading" if you want to build a solid foundation in Elliott wave analysis. 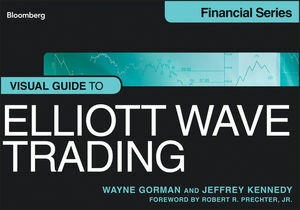 Co-authored by two of Elliott Wave International's most trusted analysts -- Wayne Gorman and Jeffrey Kennedy -- their trading insights offer a perfect blend of traditional textbook and real-world application. Join Kennedy and Gorman as they provide step-by-step instruction in how to trade with Elliott. They include scores of real market charts that depict the Elliott wave patterns, which will help you measure the strength of trends, forecast market turning points, plus identify trading opportunities. What's more, this illustrated guide also explains how to use supporting technical indicators that can build confidence in your Elliott wave analysis. Gorman and Kennedy know that "simple" does not mean "easy." Their combined expertise will help you build confidence in your analysis, create an effective trading plan, and better manage your trades. Whether your trading style is conservative or aggressive, their charts and techniques can help identify high-confidence opportunities. Each chapter includes key points & smart investor tips, such as how to "Prepare yourself to take advantage of opportunities even when your preferred count does not materialize," and "Let the market commit to you before you commit to the market." Elliott wave analysis recognizes that in financial markets, mass psychology swings from pessimism to optimism and back in a natural sequence. Use this book to recognize those wave patterns, and anticipate market moves that most traders never see coming. The Visual Guide to Elliott Wave Trading is the new criterion for any serious technical trader. Jeffrey Kennedy is Chief Commodity Analyst at Elliott Wave International (EWI), and editor of the Monthly Futures Junctures publication. A recognized expert in Elliott wave analysis and trading with more than 20 years of experience, Kennedy has taught thousands of people how to improve their trading with the Elliott Wave Principle. Kennedy's polished wit and proven trading wisdom have made him a sought-after public speaker. He teaches online learning courses and conducts in-person seminars at Elliott Wave International, and is also an adjunct professor of technical analysis at Georgia Tech's Quantitative and Computational Finance program. His precise and memorable trading maxims make technical analysis accessible to anyone with an interest in the markets, regardless of experience level or account size. Wayne Gorman is Senior Tutorial Instructor at Elliott Wave International. With more than 30 years of experience as a risk manager and trader, he began his career at Citibank managing money market and derivative portfolios, and then went on to forex trading and various treasury management roles in London and New York. Wayne has been using the Wave Principle since 1986, and traded full time with his own capital for more than four years. He has worked exclusively with Elliott Wave International since 2002. Known for his ability to explain the logic behind technical and contrarian trading methods in a careful and understated manner, Wayne is a consummate Elliottician. His experiences helped him develop an impressive breadth of educational materials, which any trader can use to learn Elliott wave analysis successfully.